Alfarabi's Philosophische Abhandlungen aus Londoner, Leidener und Berliner Handschriften. [Al-Thamra al-Maradiyya fi ba'd al-Risalat Al-Farabiyya]. Philiosophy, Islam, Muslim, Arabia, Arabic Literature, Al-Farabi. 118 pp. 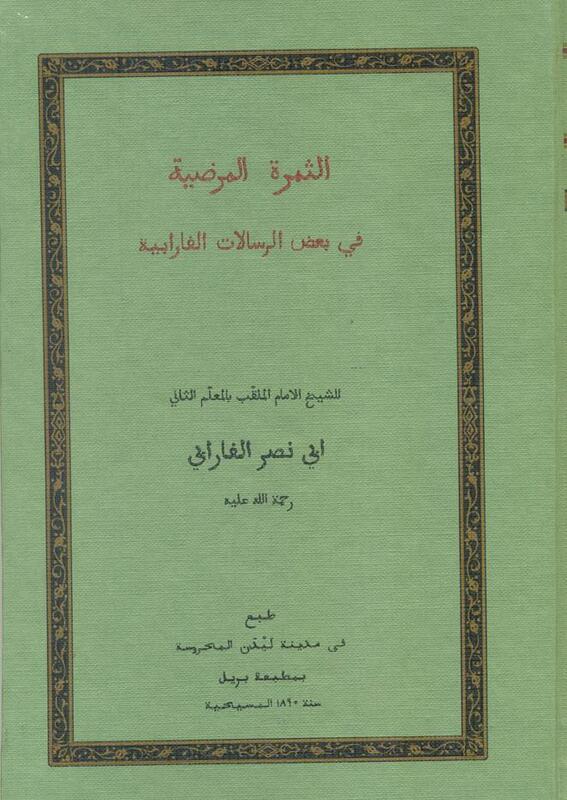 of Arabic text+ XXXIX pp. introduction in German text, hardback binding, edited by Dr. Friedrich Dieterici, reprint of 1890, E.J.Bril, Leiden, copy new and in mint condition.